Growing up in a musical family, P. Nickolas Harker developed a love of music from an early age. As an undergraduate at Brigham Young University-Idaho, he studied violin under Dr. Dallin Hansen and earned an undergraduate degree in music education. As an instrumentalist, he has performed with the BYU-Idaho Symphony, BYU-Idaho Sinfonietta, BYU Philharmonic Orchestra, Idaho Falls Symphony, Utah Philharmonic, and Salt Lake Symphony. 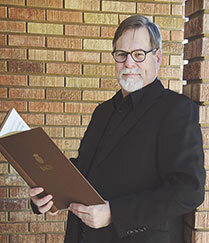 He obtained his Masters in Music with an emphasis in Orchestral Conducting at Brigham Young University, studying primarily under Kory Katseanes and Dr. Don Peterson. While attending BYU, he conducted the BYU University Orchestra, BYU University String Orchestra, as well as BYU's production of Humperdinck's opera Hänsel und Gretel. Additionally, he collaborated, as conductor, with the composers and performers of the BYU Studio Orchestra. Together, they have been responsible for the scores of BYU film and creative art student projects, including films, documentaries and video games. He is currently obtaining his Doctorate of Musical Arts in Orchestral Conducting from the University of Utah where he studies primarily with Dr. Robert Baldwin, is the Principal Conductor for the University of Utah Campus Symphony, and an Assistant Conductor for the Utah Philharmonia. He works regularly as a clinician and guest conductor with Utah public schools. 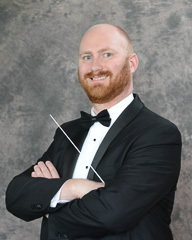 He has guest conducted with the Utah Philharmonic and the Pleasant Grove Orchestra, was recently named the Assistant Conductor for the Salt Lake Symphony and West Jordan Symphony, and just finished his term as the Music Director of the Evanston Civic Orchestra. He has also been mentored by Jeffery Meyer, Thomas Heuser, Roger Kalia, Mark Gibson, and Kenneth Kiesler. Jong-hun Bae is an Assistant Conductor for the Salt Lake Symphony and the Utah Philharmonia, also a Chief Conductor for the University Campus Symphony at the University of Utah. He has worked with several conductors including Marin Alsop, Christian Badea, Oliver von Dohananyi, Hans Graf and others. Further conducting studies have been with Kenneth Kiesler, Jorma Panula, Donald Thulean, Daniel Sommerville and others. Jong-hun made his Carnegie Hall debut in March 2009. His European debut was in March 2006 celebrating the 250th anniversary of the birth of Mozart in such cities as Vienna, Salzburg, and Vienna in Austria. He also has conducted the Simfonica a Filarmonicii “Mihail Jora” in Bacau, Romania. His previous engagements include Assistant Conductor for the Baltimore Symphony Orchestra and Baltimore Opera Company, and the Conductor for the World Premiere of “A Collection in Concert” in Glens Falls, NY and the World Premiere of the Opera “The Yellow Wallpaper” in Baltimore. 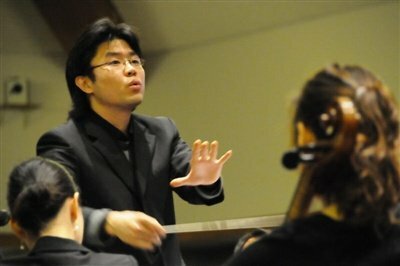 In his native Korea, Jong-hun has been Artistic and Music Director for the Ensemble “Ka-rang” and the Assistant Conductor for the Pusan National University Orchestra, before coming to the US in 2004. He is currently pursuing his Doctor of Musical Arts in Orchestral Conducting at the University of Utah, studying with Robert Baldwin. He holds a BM in Composition from the Pusan National University in Korea, a MM in Orchestral Conducting from the University of Utah, and a GPD in Orchestral Conducting from the Peabody Conservatory of Music. His conducting teachers include Marin Alsop, Gustav Meier, Robert Baldwin, Robert Gutter, Markand Thakar, and Harold Weller.